Scorpion Track offer a range of dedicated GPS tracking systems to suit various types of vehicles. Their tracking systems cater for cars, lorries, plant equipment, motor bikes and boats. The vehicles are tracked using GPS and GSM technology, this provides instantaneous updates of location, speed and status. 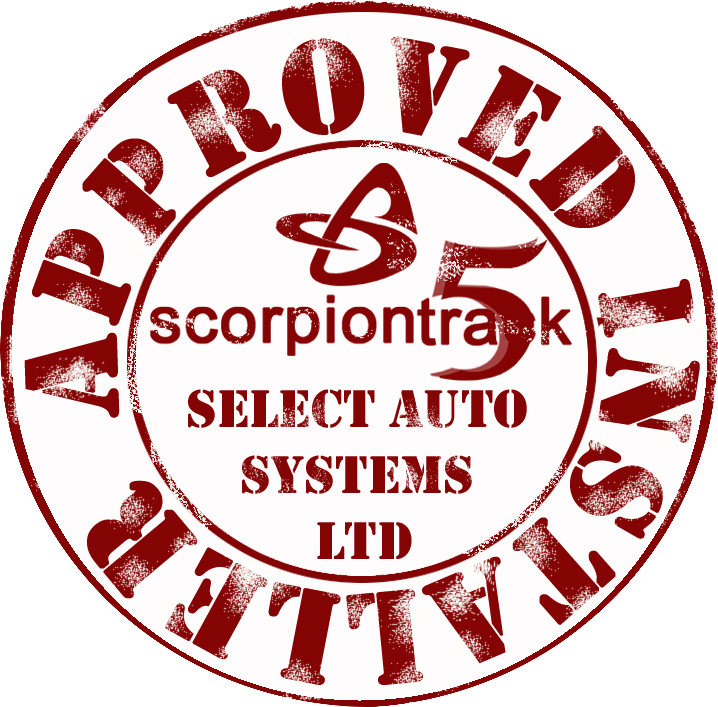 Select Auto Systems are one of the few Scorpion dealers who are authorised to fit all tracking products to all types of vehicles. Scorpion’s stolen vehicle trackers are monitored 24 hours a day through their dedicated Secure Operation Centre. Should your vehicle be stolen the professional staff will monitor and track your vehicle. The police can then recover it and return it to you promptly. All Scorpion tracking systems come with free web access. This gives you the ability to locate your vehicle on demand. Once the ignition goes off the tracker will send the vehicle’s location to the server so even if the tracking unit is asleep you will still see where it is. If the vehicle moves or ignition goes on the unit will wake up and respond to any location requests. To get a Scorpion Track or other car tracker installed, contact us today. We offer installations on location in London, surrey and the surrounding counties, our network of engineers work on a national level. The Scorpion ST50 is the standard Thatcham category 6 tracking device. This unit is ideal for all vehicles that just require “a car tracker”. The system is armed and disarmed via the ignition so if your vehicle is stolen without the keys the tracking device will send a silent alert to the operations centre. If the vehicle is stolen with keys then the theft would have to be reported. The Scorpion ST55 is their top of the range car tracker and carries the highest Thatcham rating- Category 5. As with all other cat 5 trackers it has engine immobilisation and driver cards for driver authorisation. These encrypted driver cards differ from other makes as they are rechargeable and come complete with desktop charger. This system will alert if stolen with or without keys as it is armed and disarmed via the driver cards. KeyGuard is a bolt on that can be added to the ST 50 for an addition £30 pa. Once KeyGuard is activated it sets the tracking device to send an alert to you as soon as the ignition is switched on. This feature is ideal if you want the occasional added security but don’t want a driver card. This will give you 5 text alerts a month and is administered via your online account. Additional bundles of 100 text alerts can be purchased for £15 inc vat. ScorpionTrack Marine will protect your craft against theft or illegal movement using GPS geo-fence technology. Upon continuous movement of your vessel a txt alert will be sent to your chosen mobile device. Pinpoint location of your vessel is then accessible online via personal computer or Smartphone devices. Your vessel will be displayed on a map with pin-point detail enabling you to locate it or pass details to any policing or recovery authority.